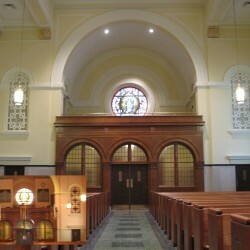 The St. Jude Liturgical Arts Studio has been privileged to work with the Archdiocese of Philadelphia and His Eminence Justin Cardinal Rigali in restoring and renovating the Cathedral Basilica of Saints Peter and Paul. 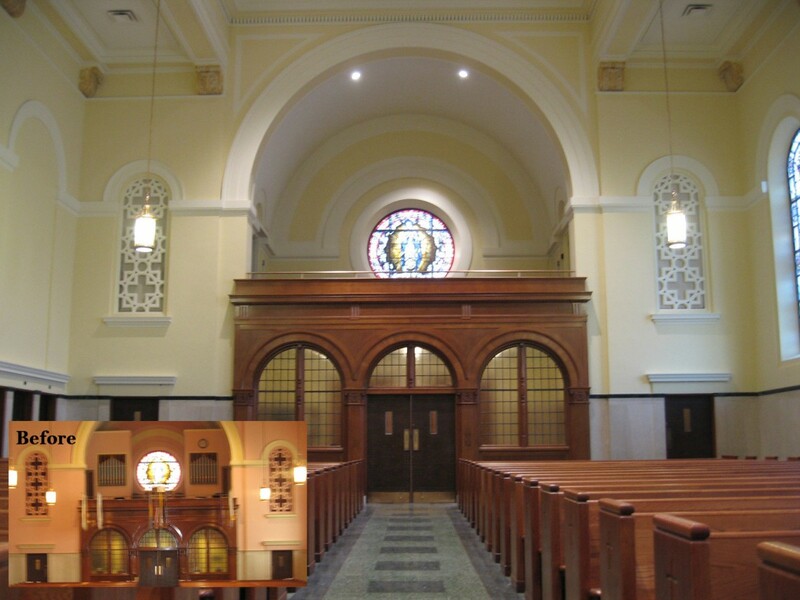 Here we showcase our work, from design to fabrication and installation, in the cathedral’s shrine chapel.We began by executing architectural drawings and full-color renderings of the completed design. Once approved, we set our team of experts into motion. 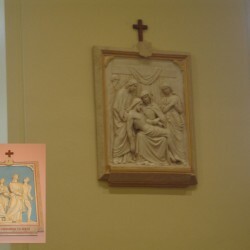 The photos showcased here attest to our Studio’s dedication to creating liturgical spaces that elevate the worship experience:We fabricated a new marble reredos and created a new mosaic tabernacle niche. Our skilled craftspeople restored the existing marble work and gave new life to the natural wood elements by a process of resurfacing and refinishing. 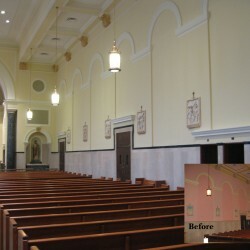 We were also able to repair any damaged areas. We restored and polished existing bronzework. 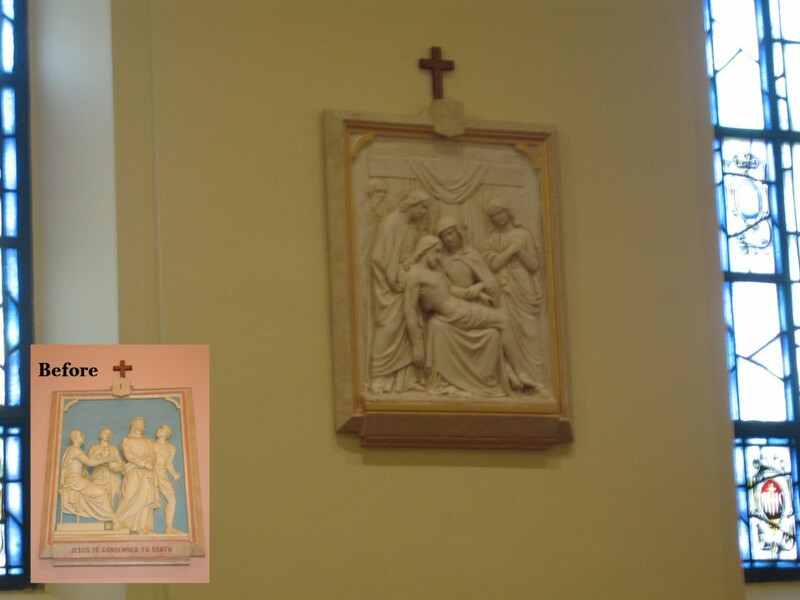 We restored the historic statues and crafted a new marble ambo. Our designers take care to create pieces that match the look and style of the existing elements. 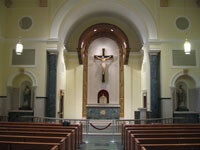 We set out to create beautiful new liturgical elements that blend with the original space. 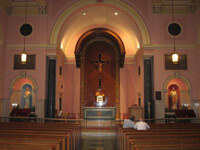 Our work always aims to add to the dignity of a sanctuary without distraction. Our Studio is also skilled in restoring existing lighting and chandeliers. 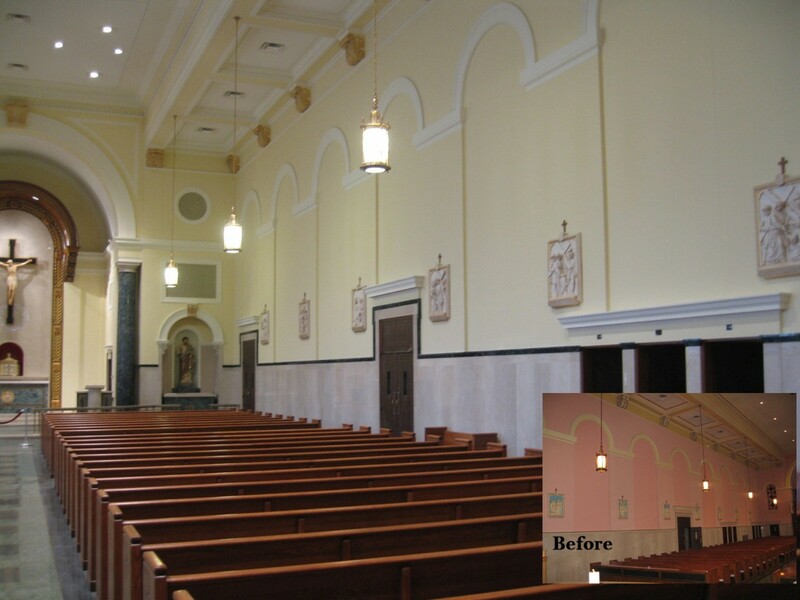 The before photos show that the Cathedral Chapel was admittedly a beautiful worship space…the after photos are a testament to the skill of our team at unveiling an even more beautiful space. 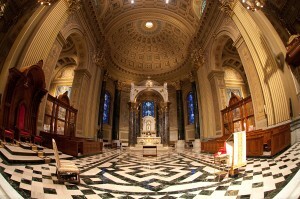 Imagine what beauty we could uncover in your sanctuary.